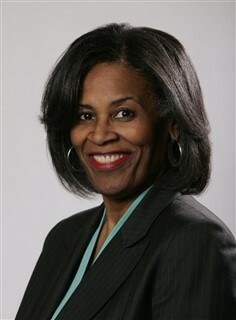 Sylvia Hill Fields has served as manager and later executive director of the Eden Hall Foundation since May 1996. Sylvia is responsible for the allocation of over $9 million annually. She is the first and only African-American woman to direct a major private foundation in the Pittsburgh region. A veteran grantmaker and administrator, she manages the legal and financial business of the foundation. Sylvia began her grantmaking career at the Duquesne Light Company, where she also managed the Employee Involvement Committee, United Way Annual Campaign, and the company school partnership program. While at Duquesne Light, Sylvia is best known for having established a Pittsburgh Chapter of the American Association of Blacks in Energy. Active in various professional organizations, Sylvia is a member of the Council on Foundations and serves as a director of The Carnegie Museums of Pittsburgh, the Pittsburgh Cultural Trust, the World Affairs Council of Pittsburgh, The Ellis School, the Jewish Women’s Foundation, and Magee-Womens Research Institute & Foundation. Sylvia is a past director of Grantmakers of Western Pennsylvania, Seton Hill University, the YWCA Greater Pittsburgh, the Carnegie Museum of Natural History, and the Pittsburgh Children’s Museum. She was named one of Pittsburgh’s 50 Most Influential African American Women by the New Pittsburgh Courier in 2006 and 2008. In 2009, Sylvia was a YWCA Tribute to Women honoree. Sylvia received a bachelor’s degree from Seton Hill College and a master’s degree from Carnegie Mellon University. She and husband Fred are lifelong residents of Pennsylvania and have two children, Justin, who attends Davis & Elkins College in Elkins, W. Va., and Jettie, who attends Carnegie Mellon University in Pittsburgh, Pennsylvania.